Gary Bauer, Contributing Author: Four years ago, Barack Obama campaigned on a message of hope and change. He promised to transcend partisanship, to work with Republicans. He promised to unite the country. He lied. Barack Obama has governed like the brass-knuckles Chicago politician that he is. He has recklessly pursued a narrow, ideological agenda that is as extreme as it is out-of-touch with the values of most Americans. 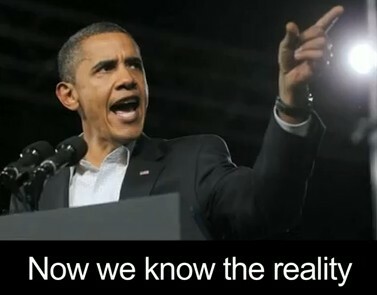 Check out our latest short web ad entitled "The Hyper-Partisan President" [The Divider-InChief]. Share it with your friends and family members. Post it to your Facebook pages and Tweet about it. Working together we can expose Obama and take our country back! Gary Bauer is is a conservative family values advocate and serves as president of American Values and chairman of the Campaign for Working Families. Tags: Obama, President Obama, Divider in chief, partisan politics, liberal agenda, Gary Bauer, Campaign for Working Families To share or post to your site, click on "Post Link". Please mention / link to the ARRA News Service. Thanks!